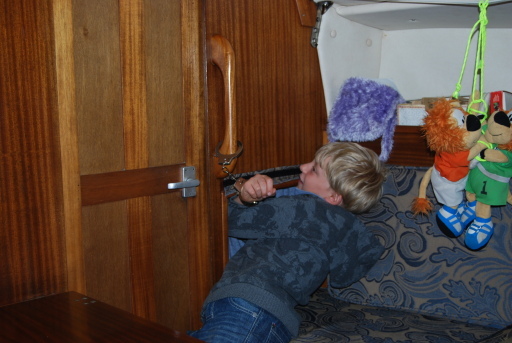 And then the moment arrived to get to grips with the new boat. 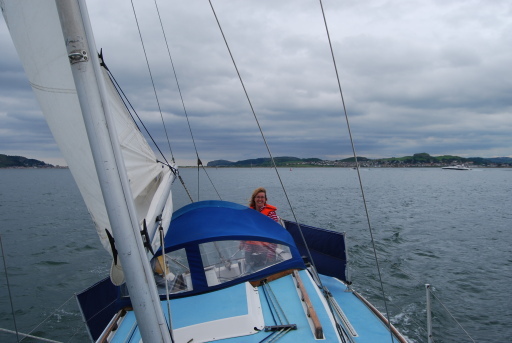 Yes we sailed (motored) from Bangor to Conwy, but that was about all the experience we had with controlling the Griffon. 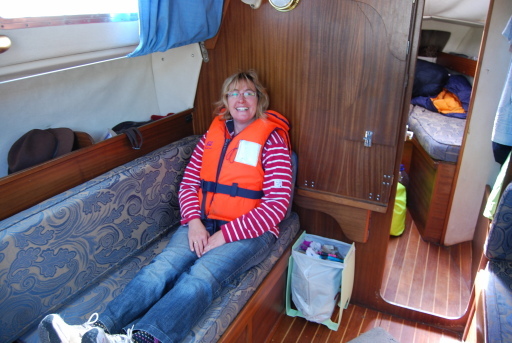 So, we arrived on a Monday, before the monsoon season, to stay on board for a couple of days. 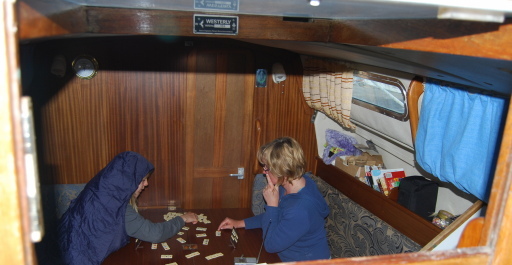 With the new dining table, a game of Rummi Cup has become very popular. At 11:30 the motor was started and we ran a few practise runs to moor up. Next we went to the pontoon to fill up the fresh water tank. This took nearly 10 minutes, either the water flow was very slow or we have a large water tank. Meryl and Timo went into town to visit the traditional sweet shop which has become popular for some reason. 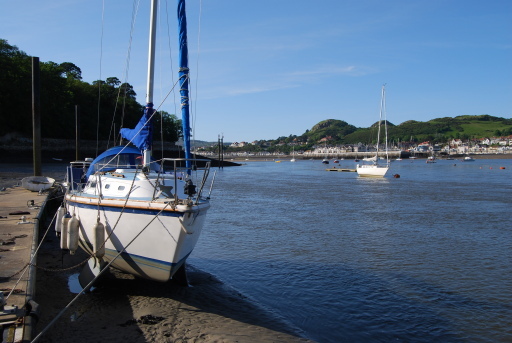 Next we motored out into Conwy bay. At 13:00 the motor was switched off and we sailed smoothly in the bay. The log showed 6 knots, which is quite a change. 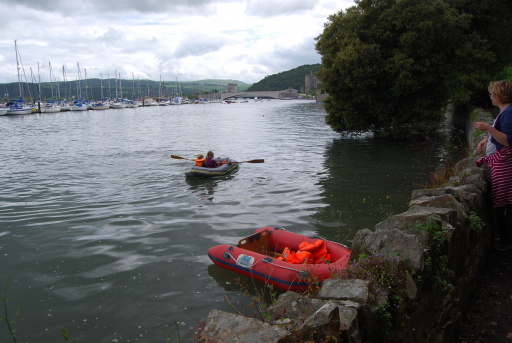 As we were well after high tide, we didn't stay long in the bay and at 13:30 we headed back for Conwy. 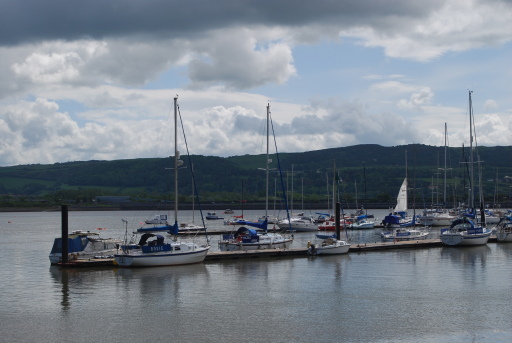 The assistance of the inboard was required and at 14:15 we were back after a perfect mooring. Meryl and Timo had bought a set of hand cuffs and invented a game, where they would hang up the keys out of reach, start a count down timer on the mobile phone (which was the bomb), cuff themselves to something and then try to get free using various implements, like a coat hanger to retrieve the keys. After a lovely walk to the beach we came back to find both Dinghies still floating, but with the mooring lines well under water. The water level had reached halfway the stone wall, not the top end of the beach as expected. We therefore decided it was time for a coffee break. When we came back to enjoy our coffee on a bench we heard the splashing of oars and next we saw Meryl and Timo rowing from under a tree. They had lowered themselved from the stone wall into the Dinghy, un-tied the mooring line and appeared triumphantly. Next the 2nd Dinghy was rescued and we all rowed back to the pontoon. The next day we went back home.